The above-and-below-deck world of the modern, peacetime navy was glorified in this action show. The handsome, young fighter pilots were straight out of the hit movie Top Gun--"Sierra", "Anzac" and "Beebee". 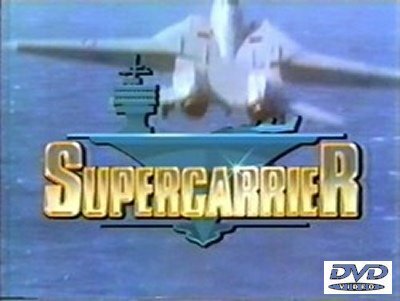 The real star of the series, however, was the gigantic aircraft carrier itself, the U.S.S. Georgetown. There were plenty of shots of screaming jets being catapulted from its vast flight deck, or its towering bow looming over smaller craft nearby.